Lead Environment Artist for The Coalition, Malcom Andrieshyn walks through using the 3D Cut and Sew UV Tool, covering the good, bad, and indifferent. 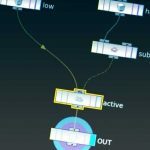 Among a mass of modeling additions, Maya 2018 has also amassed UV additions. A new and revamped UV editor is only the start of the list of changes to the UV workflow the Maya team have incorporated in the latest release. High among some of the additions is a new cut and sew tool that works right in the 3D viewport. You may have seen a similar workflow working in 3D-Coat, where you can mark edges and unfold UV shells as you go. Maya’s new tool is similar, although it falls just a little short of the convenience of 3DC. 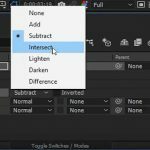 Make no mistake, 3D Cut and Sew is a huge leap forward for UV creation and editing in Maya, but as Andrieshyn mentions, “It’s about 90% there”. Andrieshyn walks through a simple example, and shows off a shelf button that can make working with the new feature much more convenient, and might save you some time. Autodesk posted an in-depth look into all that is new in Maya’s UV editor and UV workflows, similar to the Modeling, Sculpting and Shape Authoring Demo. Maya’s Modeling Product Designer Trevor Adams covers a comprehensive review of all of the UV Editing improvements included.